Less winter runoff has allowed visitors to enjoy mostly clean water at California beaches, according to a report released Thursday. Three percent or 14 beaches that were monitored during the same period last year received poor marks. READ: See report (pdf) here. 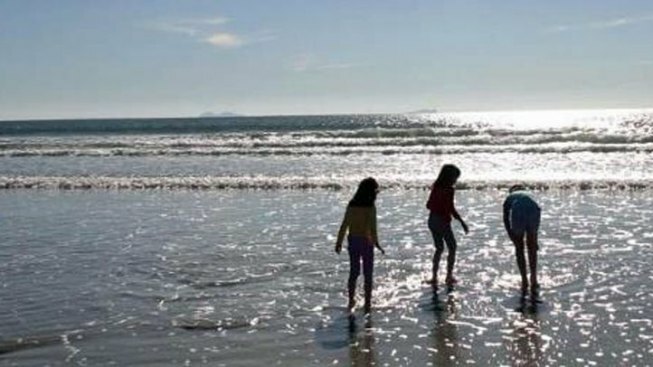 The annual beach report card, issued by the Santa Monica-based environmental group Heal the Bay, studied bacteria levels found in water samples taken by local agencies from near the Oregon state line to the Mexican border. Heal the Bay attributed the improved water quality to back-to-back dry winters in Southern California and infrastructure upgrades. Scant rainfall means less urban runoff into the ocean. Most bacterial contamination occurs during winter, when heavy rains overload storm drains and sewage systems, washing pollutants into the sea. Swimming in polluted waters can cause ear infections and gastrointestinal problems. Testing showed the dirtiest beach was at the city of Avalon on Santa Catalina Island off Southern California. The environmental group said it expects water quality to improve once Avalon completes an upgrade of an aging sewer system that has been blamed for persistent high pollution levels. The second-most polluted beach in the state was Cowell Beach in Santa Cruz County. Heal the Bay has been lobbying for the restoration of $10 million in federal funds used to monitor beach water quality. The group said many counties in the state depend on those funds to do testing. The County of Santa Cruz Environmental Health Services monitored 13 shoreline loca - tions frequently enough (at least weekly) to be included in this report, spanning the area from Natural Bridges State Beach downcoast to Rio del Mar Beach. Ten of the 13 (77%) beaches in Santa Cruz County received A grades during the summer dry weather period this past year. Capitola Beach west of the jetty scored a fair grade (C grade) during the summer dry period, with poor grades at Cowell Beach at the wharf (F grade) and Cowell Beach Lifeguard Tower (F grade). Winter dry weather grades in Santa Cruz County were excellent overall with only one lo - cation receiving lower than a B grade: Capitola Beach west of the jetty (D grade), which also has a history of chronically polluted beach water. Potential pollution sources are currently under investigation. San Mateo County’s summer dry grades were excellent this past year with 91% A or B grades, and just slightly below the county’s five-year average of 93%. During winter dry weather this past year, 89% of monitoring Malibu Pier Summer Dry Winter Dry Wet Weather F D C 13 locations re ceived an A or B grade. Wet weather water quality was poor this year with 44% A or B grades, well below the county’s five-year (63%) and statewide (69%) averages. Two locations in San Mateo’s Marina Lagoon (Aquatic Park and Lakeshore Park) share the No. 6 spot on this year’s Beach Bummer list. This year San Francisco County earned very good water quality grades during summer dry weather with 86% of locations receiving A or B grades. Winter dry weather grades were fair with 71% of monitoring locations receiving A or B grades (5% below the county’s five-year average). Wet weather grades were poor with only six of 14 beaches (43%) earning an A or B grade. 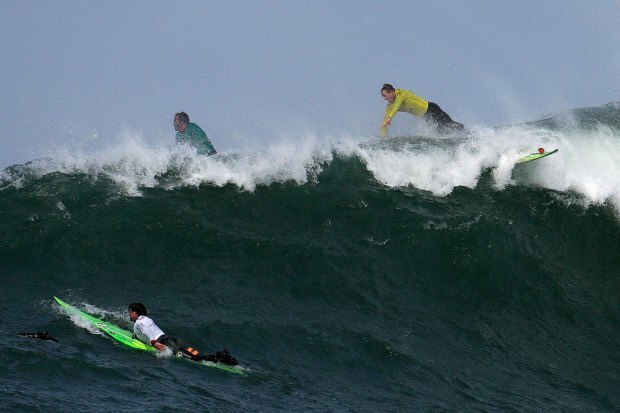 Windsurfer Circle at Candlestick Point earned the No. 9 spot on this year’s list of statewide Beach Bummers. Water quality grades for East Bay beaches were excellent this past year during summer dry weather, with all locations receiving an A grade. Wet weather water quality was poor with only 40% of locations earning an A or B grade, (29% below the state average). Marin County earned excellent water quality grades this past year during summer dry weather with all loca - tions receiving A grades. Monitoring locations were not sampled through the winter.